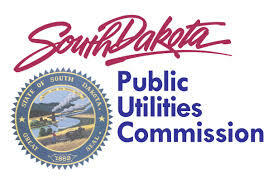 While the nation’s eyes are on federal tax reform, South Dakota’s Public Utilities Commission is eyeing the effect the proposed Tax Cuts and Jobs Act will have on consumers of regulated electric and natural gas utilities. Regulated utilities pass the costs of federal income taxes through to ratepayers. The revised federal tax proposal, which includes changes to corporate income tax, is anticipated to take effect Jan. 1, 2018. PUC Chairperson Kristie Fiegen this week requested the PUC staff begin evaluating how each of the state’s six investor-owned electric and natural gas utilities will reflect those tax changes in the rates paid by utility customers. Fiegen expects that analyzing the effect the tax plan will have on each regulated utility will be a complex and time-consuming process. “Once the details of the tax reform are made clear, the PUC will move with all haste to ensure ratepayers will be paying no more than what they should,” she stated. Action by the PUC regarding utility rates will be conducted through official, docketed processes. The docket related to the Tax Cuts and Jobs Act can be viewed on the PUC’s website at www.puc.sd.gov, Commission Actions, Commission Dockets, Gas & Electric Dockets, 2017 Gas & Electric Dockets, GE17-003 – In the Matter of Staff’s Request to Investigate the Effects of the Tax Cuts and Jobs Act on South Dakota Utilities.